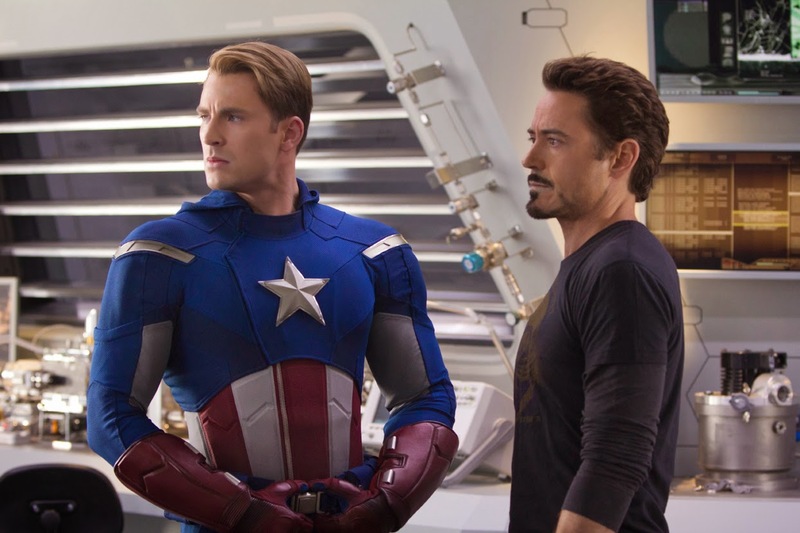 This week two stories have popped up across the web about three different actors in the Marvel Studios movie universe. Chrises Pratt (Starlord) and Evans (Captain America) visited a Seattle hospital together to bring joy to child patients, and Robert Downey, Jr. (Iron Man) presented a working bionic arm to a boy with a partial arm. Mssrs. 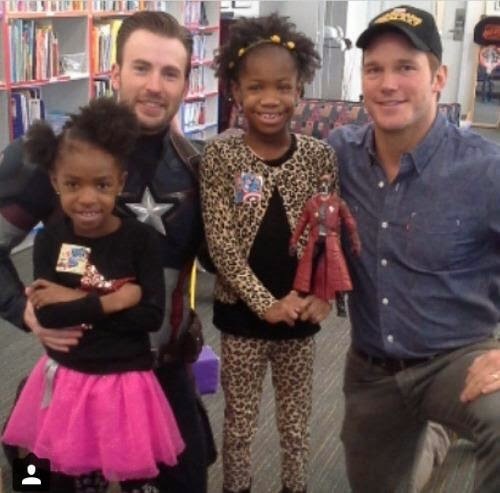 Chris, Evans and Pratt, apparently had a Super Bowl bet whereby Evans was supposed to visit Seattle Children's Hospital if the Seattle Seahawks won, and Pratt was supposed to visit Christopher's Haven in New England if the New England Patriots won. But in the end, they decided no one should lose, or is it both should win?, and Evans went with Pratt to the Seattle hospital so the kids got a two-fer in the deal. The tweet below included this picture of the two of them with some lucky girls. 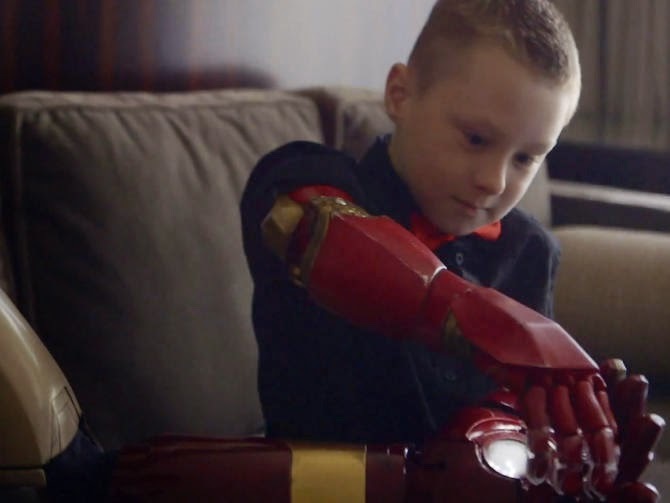 RDJ's presented 7-year old Alex with an Iron Man themed bionic arm, how cool is that? He tweeted about his experience is below, I highly recommend watching the video (click on the link) although it may cause even all you men out there to get leaky eyes. The arm was made by Albert Manero and The Collective Project, who are doing amazing work together making artificial limbs through 3D printing which makes them far more affordable. Check out http://www.facebook.com/LimbitlessSolutions to learn more about this project.